We’re thrilled to announce that profits from this year’s winner’s single – The Power of Love by Dalton Harris (feat. James Arthur) – will once again be donated to Shooting Star Chase, alongside Together for Short Lives. During The X Factor final show, supported mum, Sarah, bravely told her daughter Olivia’s story. 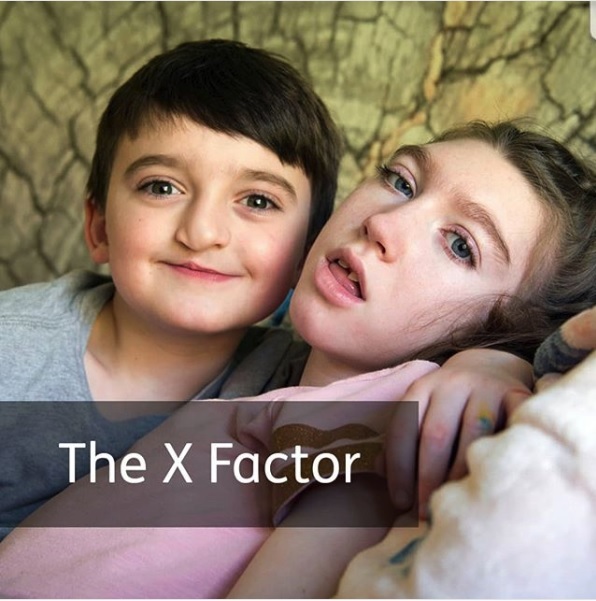 When 11-year-old Olivia was born it was clear to the doctors, and parents Sarah and Ben, that all was not right with their little girl. Instead of heading home in a flurry of excitement with their new baby, Sarah and Ben had to spend the first few weeks travelling back and forth to hospital, whilst Olivia underwent numerous tests. “I felt numb when we went home from the hospital without her,” said Sarah. Olivia was diagnosed with cerebral palsy, due to lack of oxygen from birth. Severely brain damaged, Olivia also suffers from epilepsy, has a visual impairment and is fed via a gastrostomy. It wasn’t until Olivia was four years old, following numerous bouts of pneumonia, that they were referred to Shooting Star Chase. With a new addition, brother Charlie, the hospice was a welcome support and lifeline to the family. Olivia requires round the clock care. At night she is often unsettled, can get upset and struggle to sleep, so the respite breaks offered by Christopher’s, the charity’s Guildford-based hospice, is vital for the family. Over the past seven years, Shooting Star Chase has also allowed them all the chance to spend time together as a family of four. Sarah said, “We love the activity days that Shooting Star Chase puts on as they’re great for Charlie and Olivia to spend time together – Olivia has a very cheeky personality and often giggles when Charlie is doing something silly! It costs £10 million a year just to maintain the current level of care and less than 10% of that income comes from government funding, so we rely on your generosity and support.